Hi guys, could you first please introduce yourself and tell us about your Quake background. 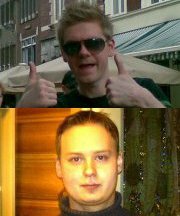 purri: My name is Mikael Tarvainen and I’ve played quake online since the magical summer of 1998. I still consider myself a Quake 2 player, but I really do appreciate all of the quakes. Unfortunately I did miss the real QW era due to me playing Quake 2 at the time. But other than that I have been part of all the other quakes since their release and played them more than enough to have enjoyed the different scenes and what they have had to offer. Damiah: My name is Jarkko Liukkonen and I am 27 years old. I started fps gaming with Quake 2, played it as my main game for year until Quakelive came. I still play Quake 2 from time to time. 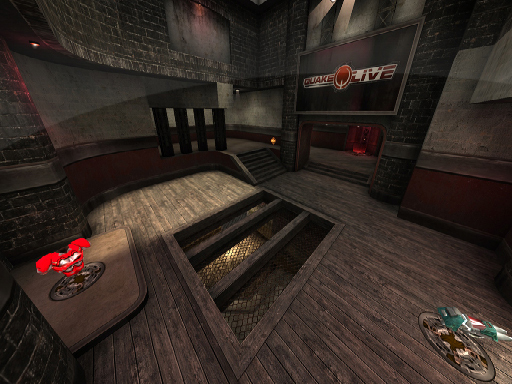 I have tried some other fps games, but Quakelive is the first game since Q2 that I really enjoy playing. Purri, you have been living in Germany for a while and recently moved to the Netherlands, did you enjoy your stay and are you looking forward to the time in NL? purri: Yes that is correct. I lived in Germany for a bit longer than a year, and really enjoyed Cologne. It’s a wonderful city and I still like returning there. However for me personally it makes more sense to work and stay in a country like the Netherlands where I can communicate much more freely and the living standards are very close to Sweden, where I’ve lived the majority of my short life. Even if I like both countries I still feel that Netherlands was the right choice for both me and my girlfriend. So I am happy with the move! Purri, you have been competing in a lot of Duel Tournaments in the past, was this because you prefer Duel over TDM or was it just the lack of competition in the other modes? purri: Hard question. If you would force me to choose I would pick TDM over duel any day as a competitive game, and as a fun game. Thats my general opinion. Mainly since I enjoy winning and competing with a team on a much higher level than if you compare to duel. For instance, if I win a duel I rarely get happy, I just feel relieved rather than the excitement or joy that you get so much easier with a team. I do also like duel and have had great times playing it over the years. I think I started off as more of a TDM player that adapted to duel since it was easier to get games in it. In particular my early years when I used to play all the free time I could get. I could scrim TDM the evening with my team, and then duel during the day or night since it was easier to get games in duel. Damiah, Your QL account shows that you have played more Duel and CA than TDM, but what mode do you actually prefere and how important is TDM for you? Damiah: I really prefer TDM over other modes even though I havent played it that much. Most of my TDM games are clanwars, I hardly play any random 4v4 games (it would be good pracc though). I play CA and random duels to maintain my aim and overall touch. In q2 I really loved to play duels but in QL I havent had the same spark to train them. What still motivates you to play and compete after all those years? purri: I still love the game(s). It gives me something to look forward to as a hobby. It gives me a purpose to compete in something that I could not really do in my everyday life. Part from gaming I guess I’m just like everyone else. I spend the majority of my time towards my work, girlfriend, friends and family, and if I did not have my gaming as a competitive platform I would feel empty. I have competed in something since I was 5 years old in either sports, or later in life sports/gaming. I’m far from the same competitor as I was during my initial years. I feel that I’ve reached a point with quake that it doesn't really matter THAT much anymore. Don’t take me wrong, I still love to win and I always try my best, but I just don’t take the long way anymore so to speak. You won’t see me bootcamping 5-8 hours/day for a tournament today. I think I have reached a level of play where I can be very happy with my play without having to put to much effort the last years. I still play weekly during seasons and that is where I want to stay as long as I don’t intend to go pro, which is impossible for me today. Just for the information, this is not a very likely future I’m taking. I will just never say no since you don’t know what is knocking on the other side of the door tomorrow, and then I would have to regret my decision. xentorium is quite a new clan, could you tell us how the team came together? Damiah: Frs and me talked about putting up a team and then I asked provi if he would be interested in playing QL TDM. Danskie joined shortly after that and shugg played also few games but then he disappeared somewhere. Then after some time epiotic, pada and wit joined. We played for some time, but we noticed that we had too many active players and everyone wanted to play. Because of that, half of the players decided to play in a different team. Then we were again lacking in players so gerppa and purri joined. Epiotic came back some months ago. Purri,provi and gerppa played Q2 so I have known them for years, others I've got to know via QL. You joined xentorium 2010, how did you guys get together? Did you already know them from your Quake 2 days? So yes we known each other quite well during all these years and even played in some Q2 teams shortly together. Frs is a new guy for me. He has his roots in Q3TDM during the years I was not playing, so I never got to know him until I joined xentorium, but he is a very nice person just like the others. Gerppa is our Q2 newschool talent. It’s quite funny that he has been around for like 4-5 years in Quake 2. If you consider his age, he is one of the few very talented players that are so young in Q2. However, he does spend the majority of his gaming time now on QL TDM/CTF. We are getting old so we need to school some new players to take over. We also have Epiotic that I don’t know well from before. I do know he has his roots in the Finnish Q3TDM scene, what I know from him so far is that he seems to be a nice guy and that he likes to whine just like Frs on our mumble. Could you tell us what lineup you will play with in the upcoming EMS and EC and what kind of role each player has in your play? purri: I’m not 100% sure if we have decided a main four. We use six players when we practise and we have different practise lineups every time. I do feel that we have a secure three spots, then it’s perhaps based on dayform or map for the 4th. I don’t want to go into details in tactics or areas certain players hold. Damiah is in my book secure in our lineup if he is available. He usually is a stacker and/or plays a quite defensive(smart) and very heavy aiming based game. For some reason he always ends up with +40% acc in QL TDM. Perhaps he needs to shoot more sometimes -> Damage>Accuracy! He is more likely to take quad over Provi/Frs since he usually has stack more often. Provi is also one of our main players I think. He is our wild hound we send to do all the damage. He does this and still manages to hold parts (tactical) of the maps. Also just one of the most gifted aimers I’ve played against/with. He has a more supportive role in the way the game turns out usually. Very important for our overall gameplay to work. Frs is also doing a lot of the damage just like provi, and holding a lot of the same areas with him. But he also has a more important role and that is to communicate with everyone, and in particular with me to keep our overall in game happenings up to date. Gerppa is our newest addition and he is just so fresh into Q(3)LTDM, but still not. He has very quickly learned all the tactics and the maps to the point that he has created a pleasant situation for us to discuss about in the close future. When he plays he takes a supportive, but yet aggressive role. He makes sure that one of our players gets boosted before he takes the armor/health/weapons. He just has a good understanding of the game and could probably adapt to most positions if asked to play. Epiotic is currently our backup, but he does play a lot of praccs with us. He is by no means a bad player, but we can only use 4 players and we have a strong team right now. So far I have noticed that you can put Epiotic to most tasks and he will perform good there! I don’t know much about his individual style since I have not really had the time to watch him play. He is in our (otherwise) very new team -> a very experienced player when it comes to Q3/QL TDM. That is important! Then we have me. I don’t know what to say really, but I’ll of course try to explain a bit more how I’m playing. In a simple way. I try to make sure the team is doing what it’s suppose to by holding my areas and moving very freely to areas where support might be needed. I try to think out of the box, but keep it simple. It does not matter if I suppose to keep RA, Rail or something else. I will be very simple and stay in those areas and then move around where I’m allowed to make as much damage as possible, and make sure we have at least 1 person with decent amount of stack before powerups. This means if I see rest of the team without stack, then I try my best to make sure at least I’m stacked. This is not really planned to my knowledge but this way of play usually gives me enough time to be ready for powerups if needed, and to support my team. I can be stationary, but I prefer to move and be where the action is. If needed I can also go full force +forward in situations, but that is not really my style of choice normally, more like acts of desperation. It feels that XT has given me quite free directions when it comes to my positions and play. We probably need a bit more time to have rock solid directions. I do however believe that in TDM you have to be quite dynamic and if you can’t think of ways to regain control over certain areas you will end up dying over and over again when you lose your grounds. Damiah: In EMS our players will be: me,purri,provi,frs and epiotic. In EC same team + gerppa. Purri is the powerup guy and allrounder. He plays really smart and sometimes I really cant understand how he is able to do such a big +score. I think he is one of the best QL tdmers at the moment. Provi is the agressive fighter, he has awesome aim. He is really good in his role. Frs is also agressive player and he is usually the timing machine. He talks a lot during the games, sometimes maybe too much ?. I think Epiotic has pretty much same playing style and role as Frs. Gerppa is probably a bit more defensive player compared to previous ones. He plays really smart and I think he has improved his playing a lot in past months. I try to play kinda defensive, keep certain positions and help when needed. I think considering the lack of q3 experience in our team we have done good job so far. Overall TDM experience in our team is good, becouse everyone has played a lot TDM in certain games before. If we just stay active and keep practicing we could do really well in future. Everyone in the team expect for purri is from finnland, is that important do you and does it help your communication? Damiah: We have tried to keep the team finnish and so far it has worked. And yes, I think it helps a bit in communication. Purri speaks pretty fluent finnish so no problem there. Last EMS season you finished 7th/8th, losing to FliNE and METSU in the Playoffs. Were you satisfied with that result? Damiah: No, of course not. When the important games started in both EMS and CB, we werent able to pracc for long time. Purri didnt have internet and I was really busy at finishing school. The timing was just so bad for us :/ Hope to do better this year! How much are you training at the moment, will you be prepared for the EMS/EC? purri: I think we have played quite much. Not as much as some of our competitors, but enough to be confident enough to try and win every single game. Our only downside currently is the use of old maps. Our main lineup is not a very experienced Q3TDM team, since we come mainly (except me/frs) from other games and have not had the chance of playing pro-q3dm6/q3dm14 the past 10 years = This alone should be reason enough to delete those maps for ever if you want to have new blood into this game. Damiah: Personally at the moment I play in 3-5 days a week, mostly CA. We try to pracc tdm as much as possible, usually 2-3 times a week. What is your goal for the upcoming EMS season? purri: We have not discussed openly about goals. This will sound corny, but our main goal is to have fun. But we have most fun when we win, so I’m sure we will try to win against anyone we will face in groupstage or possible playoff game! Damiah: There are many great teams in this season so we really need to do our best to even advance from the groupstage. There could be some upsets becouse of the new maps so lets see how things turn out. I always aim for 1st place, but top 3 could be realistic goal. You have already played tournament favourite 4K in the EC and lost by only a few frags on both Maps. Did you expect the match to be so close? And did this result give you confidence or frustration? purri: I was very frustrated afterwards. It felt like such a waste from our side. I claim that our inexperience (How can you call a team inexperienced when we have more than 40 years of TDM in our lineup!!) did cost us the game. What I mean is that this particular game felt like ours to win, and to take. In particular the 2nd map where it felt that we were controlling the tempo and items/quad from start until last 2 quads. I think we were worthy to play a 3rd map. However we did not, and 4K won fair and square! I have to say they are a good team, and their caliber will never be easy to beat no matter what lineup you have! There is some good news though. I don’t know from 4K’s side, but I know for sure we could have had a better lineup and we have practised a lot since then. So they will have to play better next game to win, since we will and I’m looking forward to it myself already! Bring it plz! Damiah: To be honest before the game I didnt expect much, but after the game I thought that we should have won it. Even that we were underdogs before the match it was really annoying to lose it like that ? I think we have really good potential if we are just able to use it. The ClanBase EuroCup is not what it used to be anymore, but still attracts a lot of top teams. How important is the EuroCup for you compared to the EMS? purri: To me personally EuroCup (early days) have some of the most special TDM memories from Q3TDM period. I was not very active myself during those days since it was during my hektik(<- Promotion!) Q2 period. But wow those days were good for TDM! I did follow most tournaments even if I was not playing in all of them! I mean the early EuroCups of course! Damiah: There are great teams in both so I dont think one or the other is that much more important. Ofcourse the prizes always raises the motivation. I really love to play official games and there should be great matches coming in both cups. The Groups for the ClanBase EuroCup have already been drawn, who do you expect to make it into the Playoffs? purri: Before I make a fool out of myself. I want to let people know I don’t have good knowledge of how good all the teams in these groups are. Group B: Metsu, Fline and hoping action! Im a sucker for old clans since I like comebacks! Lets talk about maps a bit. 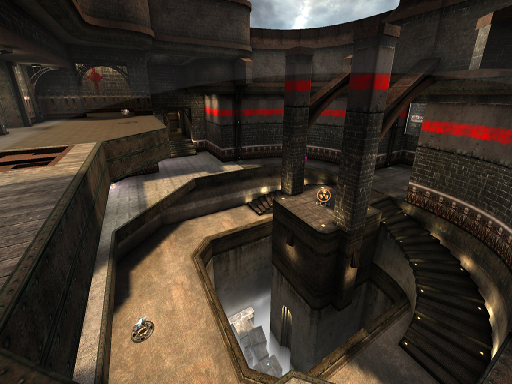 The big Quake Live Update brought a lot of change to the QL TDM scene with the comeback of some Q3 TDM Classics and the release of 3 new ones. What do you think about each of the new maps - Dreadful Place, Purgatory and Leviathan? purri: Dreadful place: I love this map. For those fricking idiots that say the map is all FFA based, please start playing the map more than 3 times. The map is smart, you have big areas with important and very easy to spot key factors, with this I mean Mega/Ra/Rail/Ya/Shaft etc. Anything that could and is important to control in TDM. You can move very smoothly across the map and it creates very easy to understand quad fights and you have many ways to enter and leave most of these key areas. Balanced weapons and health item placement - there are strong and weak spots of the map. Anything you can ask from a good modern QL TDM map. There are also several ways to play this map, just to add some spice to the mix. Purgatory: This is jewel number two. Out of all the new TDM maps I have played in all quakes the last 5-6 years(?) these are both in the highest caliber of all of them. This map is a bit more straightforward when it comes to tactics, if you compare it to Dreadful. Some people who don’t seem to see this tend to also say that they run around with FFA positions. That might work against lower skilled clans, but it wont for long when more people actually learn the map. Most of the top teams have already done this to a extent, but there are ways to play this map that I have yet to discover myself by trying and failing a few times. This map is more central based to RA/High rail ledge and Mega/YA. What is so different about this map is the dual powerup spawn. This makes this map very interesting when two similar level teams play. You can play it safe or take risks by either focusing on 1x powerup, or 2x powerups. Will you want to take only 1? Or you want to dominate by trying to go for both, but perhaps failing since other team goes the same and then you lose both? The scenarios of this map are many and I like the in between fights when there are no powerups. The map feels/plays good if you ask me and it balances quite well already. Leviathan: This is the map I have spent less time in if you compare to the other two. It feels like a simplified version of Purgatory(2x Powerup system) and in many ways a bit worse. The map plays and works for TDM. It’s just not yet the top map like some of the others we have in the current map pool. In a 7 pool map pool I would still keep it. I would want to see some changes if you want to keep it in a best of 5 map pool. It’s hard to pinpoint, but the areas where you pick your fights don’t always feel logical. This map lacks key areas outside of the normal RA/Mega room. Damiah: It is really great to have new maps. Having them makes some color to the mappool and it also gives better opportunities to different teams to win matches. Personally I hope that more new maps would come to replace the old q3 ones. None of the new maps is perfect, but in my opinion Pulgatory is the best one of those. It just feels great to play. At first Dreadful place didnt really open up for me, but after some games it has shown really good potential. Really enjoy playing it nowadays. I have only few games experience on Leviathan, but it seems playable. Do you like the current Mappool (Campgrounds, Deep Inside, Dreadful Place, Grim Dungeons, Intervention, Purgatory, Realm of Steel Rats) or would you like to change it? purri: I have to say I’m extremely against the current map pool. I have already mentioned it and I don’t believe we should keep dragging maps like Campgrounds and Grim Dungeons any longer. If I wanted personal gain by choosing the maps I might perform best at I would agree to this map pool. I just want to make it clear that I believe it’s the best for map pool for whatever future we are headed towards. New maps bring new ways of playing, new ways of playing brings new competition and new competition is good for the scene. I just have a general feeling that most old players are a bit lazy when it comes try trying something new. This is just what I have experienced so many times already. Trust me, it’s the same in the Quake 2 scene as well. Getting people to try, or even harder -> like a new map is not the easiest thing to do. I personally think it’s a bit boring. If I was making the map pool for a TDM tournament/league I would pick the following in no particular order: Deadful place, Purgatory, Qzdm20 (how this could go out instead of pro-q3dm6 is the biggest upset for me), Ospdm5, Ospdm6, Leviathan (I’m open for changes to this map!) and then Realm of the Steel Rats until we get a better 7th map, this map is currently the only map I don’t really see fitting QLTDM out of the 7 I picked. It was a great map at one point. It just does not feel as good as the other maps in the pool. A bit outdated thinking. Damiah: DM6 & DM14/Realm of Steel Rats out – DM20 and DM7 (old one with the rail at the dungeon) in. I was really surprised about DM20 being removed from the mappool, becouse it was one of the most played maps in past season. I also dont understand why the changes were made on DM7. It was really fun and kind of equal to play like it was before. Deep Inside, Dreadful Place, Intervention, Purgatory, DM14, DM20 and DM7 would be good maps for mappool. 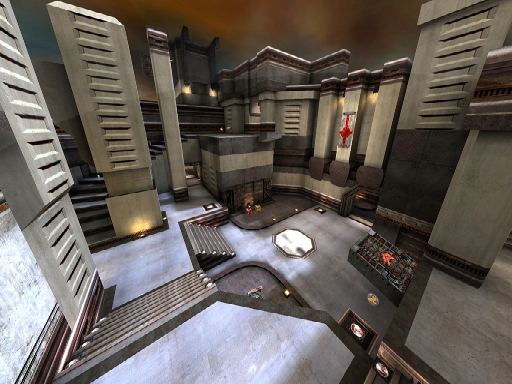 What would you change or add to Quake Live if you had the power? purri: This question needs more thinking than the 1 minute I have. The most obvious things that should have been there from the beginning if you look at how QW, Q2, Q3, Q4 was before QL was even released. GTV/Speccing options in the game. This must be the biggest mistake id software missed if they wanted to promote the game the first year/s without using money in marketing campaigns and such. The best way to market quake is to make it available and then people will watch and then hopefully want to play the game themselves. I remember the main reason I started to play serious was because I was so impressed by the older generation of players back in the day. I would probably have paid to see some of the old top players demos at the time, not to mention just see them live on a server! The 2nd biggest must be the possibility to make a LAN servers at least for semi/professional tournaments, if not for everyone! Not just a few that know who and where to ask. We won't see new organisers being able to host QL tournaments due to this. We are almost 3 years in after the closed beta arrived and tournaments started popping left and right. If their(id software) intention was to delay everything this much, then I think they should not have released the game yet. The longer the game is unfinished the more people will fade away and we will lose possible new players. Then all the hundreds of smaller things like /stats /topshots that we already got used to 5-10 years ago that should be mandatory when you convert a old game and want to make it a new professional platform to replace them all. If I’m not mistaken that was the general goal for id software to make this game. Of course next to test how to implement such a advanced game like Quake 3 to a web browser! I still support id, I pay for the game and I hope that things will become better. I’m just in general a bit surprised the amount of time they seem to need for a lot of these things we normal people would already take for granted. If there is a reason for this I don’t know. I’m not in focus, I don’t really have insights. I just wait and hope just like the rest of us, but it’s already been more than 2½ years since I joined the beta. My main personal concern is the not knowing and not understanding why things are not happening when they in my mind should J I hope I don’t come out to negative now. I play the game and enjoy it. There are just a few things I would like to improve. purri: Define your questions please! :D A shoutout to all of you who spend your free time into our community (such as yourself nukm!) and I want to say HI to my friends in and outside of quake. Also a thanks to all our supporters of XT and TDM in general. I also want to add my piece of advice -> It’s the people who play who make the difference, not the ones watching! So stop idling and play! I want to tell Prozac that he should come back to Europe already!